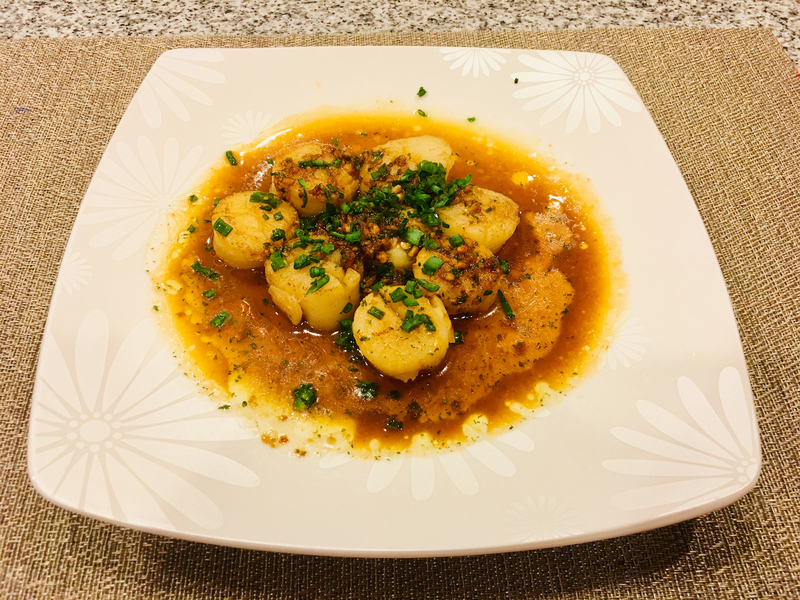 Yesterday I've tried to cook scallops and it end up being very easy and delicious. So I've decided to share this recipe with you. Rinse scallops to remove any potential grit and drain well. Pat both sides of scallops dry with paper towels. Hope you will enjoy this easy and delicious meal!